For years, I had been an advocate of at home workouts. I first fell in love with working out when I discovered fitness videos on Youtube. I would pop on four to five pilates videos, roll out my yoga mat and have a brutal muscle-burning workout done in an hour, at home, and all for free! I was extremely consistent with this routine. Finally, I had found an exercise I loved, that was affordable, and I could do it multiple times a week to see results. At the time, I lived in a three-bedroom house with a spare room that I could use solely for working out. But a few years on, I had changed living situations, and my fitness routine was suffering. I was flatting with five (wonderful) housemates with no spare room to work out in. I now live in an apartment, and although I have more space, I live on the second floor and am conscious of how much jumping (i.e. noise) at-home workouts can involve. Like lattes, gym memberships are the low-hanging fruit of the financial world. And I get it. An unused gym membership is the equivalent of taking a handful of dollars out of your wallet each month and lighting them on fire — it’s pointless, and it hurts to think about it all that wasted cash that could be going into our retirement accounts or be used for extra latte money (just kidding). However, for the past 18 months, I have been a dedicated gym user, and there’s a lot I’ve learned on my fitness journey that I just didn’t know before I joined. When I first moved to America, I couldn’t join my local gym online as the website required a phone number with US area code to sign up. Instead, I visited the gym in person and was pleasantly surprised when the trainer was able to take $9 off the monthly sign up price. Sure, the savings are only $108 per year, but it also means I’m paying around $5 per week, which is crazy low to me. When I first joined a gym, I chose the one opposite my place of work because I know my weaknesses — and laziness is one of them. The gym was part of a larger franchise, which meant when I moved jobs, I was able to use a different location close to my new workplace. Most gyms have free trials (and sometimes discounts for referring a friend) so you’re not risking anything by trying them out. Ask your friends or family about what their gyms offer, as some memberships also allow members to bring a friend to classes for free every so often. It can be a great way to find out whether you want to commit before laying down any money. If you’re new to working out at the gym and feel a little intimidated, an easy way to build confidence in the beginning is to go when it’s quiet. Take a Saturday afternoon or Sunday morning to get yourself familiar with any of the equipment you want to use. Have a go changing the height of the machines or the settings on the Stairmaster if you’ve never used one before. This way, you’ll feel a little more confident next time you go to work out that there are a few machines you have already mastered. You can then spend time focusing on the workout itself and not worrying about how to use the equipment. My workout plan is like a safety blanket to me. I don’t have to worry about getting to the gym and not know what I’m supposed to be doing. There are so many options now with gym apps or online workouts, and many of them are free. If you aren’t sure of where to start, simply pick an exercise and complete three sets of 12 reps before moving onto your next exercise. I currently use an app (Kelsey Wells Power in the Sweat app), but when it runs out in 6 months I’ll be returning to using the exercises I have written in my phone to create my own workouts again. There’s nothing wrong with not knowing how to use a machine or complete a move at the gym, but don’t feel like you have to suffer in silence. I had no idea how to use a cable machine with an ankle attachment on it when I first joined my gym. I really wanted to learn, so rather than risk hurting myself, I simply asked the bored-looking trainer standing at the front desk for help. And you know what? He was happy to help me because that’s literally his job! Since then, if I have any major doubts about how to use a certain machine, I always ask the staff. Likewise, most gyms have a half-hour free session with a personal trainer when you first join. I’ve taken advantage of two of these to learn fun new moves like using the TRX ropes and getting better at using the squat racks. After I’d been at my gym for a couple of months, I realized I really wanted to do more weight-lifting, and I wanted to do it in the weights area. But my gym had a lot of bulky-looking men in it who I found intimidating. I visited a few alternative gyms in the area, including women-only gyms, but found them either too pricey compared to the discount gym I was attending or lacking in enough equipment or space to make the switch worth it. Rather than giving up, I decided my next mission would be to be confident working out in the weights area at my current gym. I started by doing most of my routines in the mat areas with dumbbells until I felt confident in my form and with picking weights that were heavy enough for me. Once I was comfortable with a few exercises, I challenged myself to do just one exercise per gym session in the weights section. That was 18 months ago, and today I do a full routine in the weight section. One of the best things I’ve done recently is write a list of exercises on my phone for each body part. It’s perfect for those days when the equipment I want is being utilized and I’m standing around not knowing what to do instead. Having backup exercises that use the same muscles but only require one set of dumbbells or a barbell comes in handy for these moments. I’m also learning how to use one machine for various body parts so that I feel less reliant on using a large range of equipment and can get a decent workout with whatever is available. 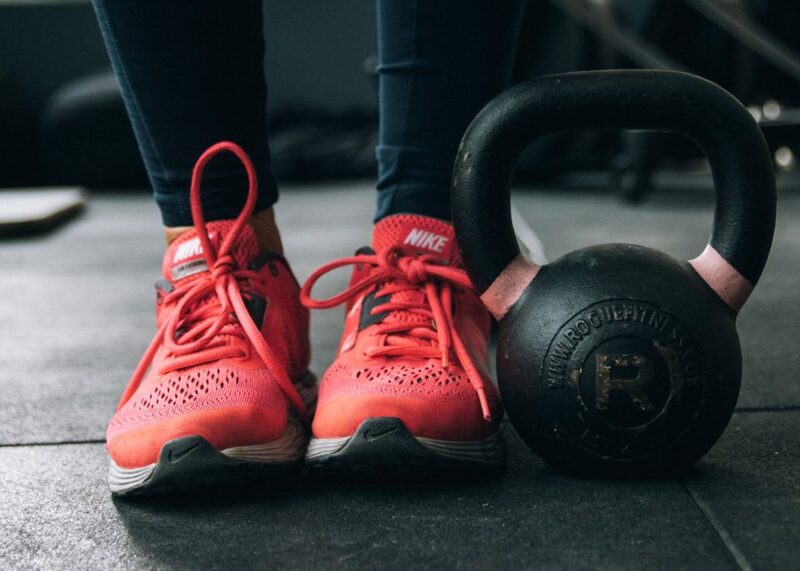 As always, the best exercise is the one you can stick to, but if you’ve ever wanted to join a gym, I hope these tips can help you make use of your time there!